52682 is rated 4.8 out of 5 by 6. Rated 4 out of 5 by 206kip from Rain shower head Love this shower head, turns you shower into a spa experience. Rated 5 out of 5 by lljhogfan from Can't go wrong with this rain shower head! I have installed several of these rain shower heads in multiple projects, including remodels and custom builds. They look and function great, while being a great value. It's a sizeable fixture, so it even looks good hanging from a taller ceiling with a longer arm. 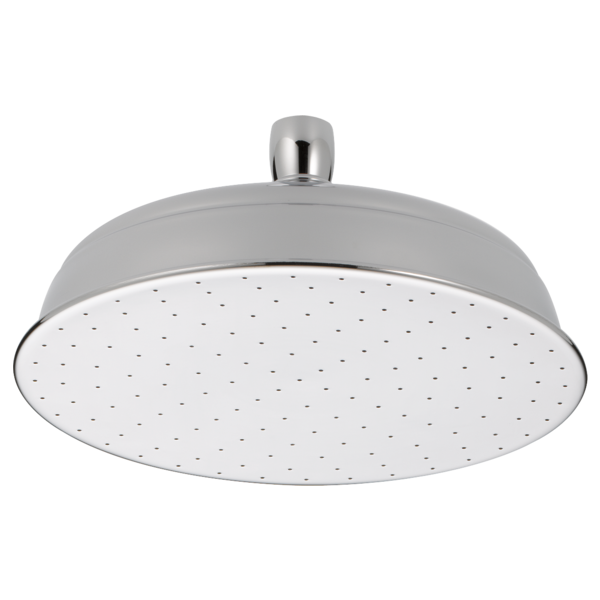 Rated 5 out of 5 by EmSB from Great looking rain shower head Good quality, nice looking, easy install. Rated 5 out of 5 by spud1 from Great quality! This is one of the shower heads we purchased for our new house. It is exactly as advertised and we are very pleased with the purchase. What is the size of the connection to the water supply? I need a one-inch connection. Why can't I find the size of any shower head listed on your website? I am trying to compare the rain shower heads. Is this made of full.metal? No plastic? If not which parts are plastic? Thinking about getting delta # 52682-rb, but wonder if it would work on a wall mount such as RP46870rb shower arm? I'm trying to match the other handle I have in the shower. It's venetian Porcelain. Will that set up work with this head? does this showerhead tilt and swivel ? IS THIS SHOWER HEAD AVAILABLE IN CANADA?. I am having a new house built in Canada soon and I am looking at having one of these installed in my walk-in shower, I would like to know if my builder can find this same exact shower head through Canadian retailers?.